Replacing your exterior doors is one of the simplest things you can do to enhance the look of your home while also improving its overall energy efficiency. Your entry door could experience a great deal of wear and tear depending on how you enter your home. You should consider a door company that offers both an exceptional product and professional installation. Feldco offers both! 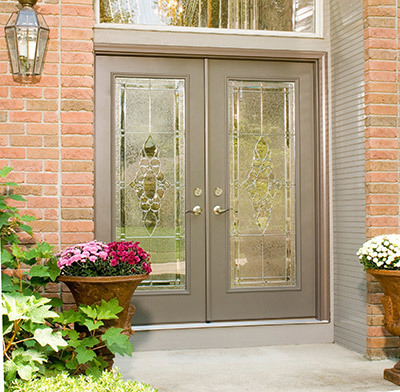 For 40 years we have been providing the best exterior doors in the Midwest. No matter the style door you want for your Madison area home, you will delighted at the options we have available to you and look forward to working with you on your door project. All of our exterior doors are designed to keep you comfortable year round and maximize your home’s energy efficiency. With a wide variety of exterior doors to meet any style, you can create the entryway you have always wanted for your home. You’re not limited to the front of the house though – our doors are great for other often used entry ways on both the sides and backs of homes too. While not necessarily the door your family uses most, the entry door of your home can really make a statement about your home and style. It can provide guests with a little sneak peek as to what kind of stylings and design they may find inside. We offer both steel and fiberglass entry doors in a variety of styles and both offer a realistic wood grain finish and a variety of colors to best complement your home’s exterior. Regardless of whether you choose steel or fiberglass, you will receive the best in energy efficiency and can customize the door with a variety of decorative glass and hardware. 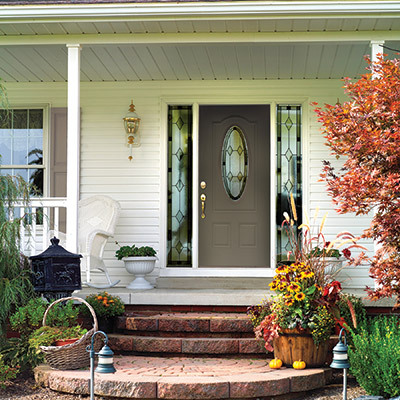 If you are looking for strength, durability and beauty, look no further than Feldco for your front door. 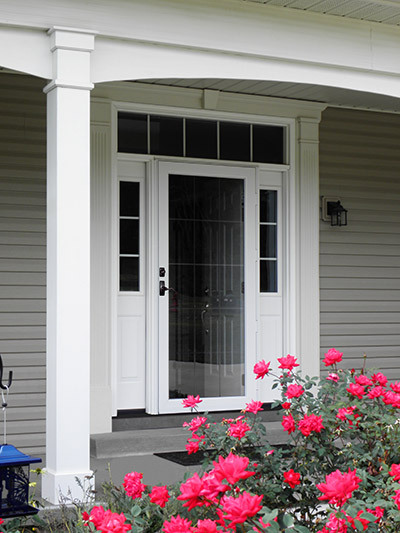 If you are looking to protect your new or existing entry door or complement the entry way, you could consider a storm door for your home. 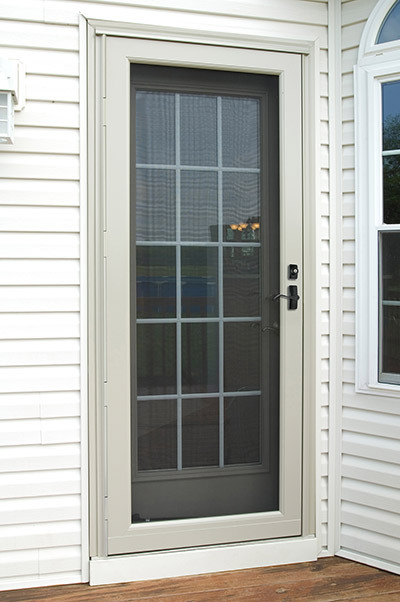 Our storm doors are designed to withstand the Central Wisconsin elements during the extreme temperature fluctuations throughout the year. A storm door can also provide excellent ventilation in the milder months as many of our styles come with removable or self-storing screens. You can enjoy your home however you like. Feldco storm doors aren’t just practical, but beautiful as well. 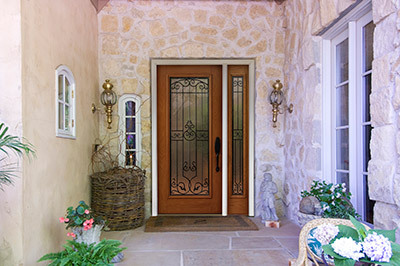 We offer a variety of glass designs that will complement your existing entry door. 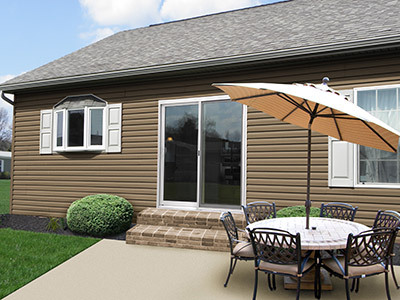 You can enjoy easy access to your porch or deck year round with a beautiful Feldco patio door. With large, energy efficient glass panels, light will flood your home while leaving you comfortable inside. Depending on how you will use the door and where it is located within your home, you can choose either a swinging or sliding patio door. No matter which style you choose, you’ll have a great addition to your Madison home! Swinging patio doors are known as French patio doors and can be hinged to open either inside or outside of your home. 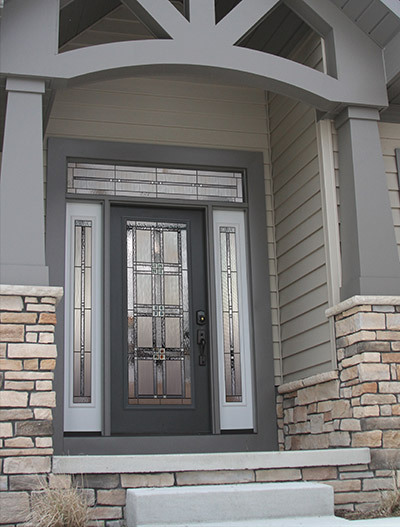 You can choose from any of our entry door styles to create the look you like, from steel to fiberglass to a variety of colors and decorative glass. The possibilities are endless when creating your French patio doors. If space is an issue and there isn’t room for a door to open into or out of your home, sliding patio doors are the perfect solution. Sliding patio doors offer the greatest amount of light and great potential for ventilation. From carefully removing your old door to preparing the entire opening to maximize energy efficiency, the team of door installers working on your project will ensure everything is done properly and goes smoothly. All installers are factory trained and certified and are among the best in the home improvement industry and the greater Madison area. You will be left delighted with the entire installation process and especially the new door you choose for your home. Most homeowners say we leave their homes cleaner than when we started, so all you need to do is sit back and let us take care of your home! We know that replacing a door may seem overwhelming, especially as there are so many styles and options available. You want to choose a door that best matches your home and personality. Our trained Product Specialists will work with you on all design elements and ensure you get the door you have always envisioned, or one you haven’t yet dreamed about. We will also take your budget into account and advise you on the different costs associated with different doors. But no matter the door you choose, you will be thrilled at the look and functionality, and with proper installation, no more drafts and lower energy bills!